The Ironman is no joke. And it’s definitely not for beginner athletes or the faint of heart. Whether you’re looking at taking on the short (um…maybe that’s the wrong word) 70.3 mile half Ironman or the more intense 140.6 mile full Ironman triathlon, you’re in for quite an experience and you’re going to be putting your body through a grueling competition. Training for an Ironman goes beyond just getting your body in shape to be able to handle such a large task; you must also understand how to safely train. Let’s take a look at some of our top tips to help you safely train for an Ironman! Once you’ve decided that you’re going to take on the gigantic task of competing in an Ironman (no matter the distance), you’ve got to be willing to put in the time to make it come to fruition. The Ironman isn’t a competition that you can stumble into like some people are able to do with a 5k. It will likely take you at least 10 hours to complete and in order to actually make it that time, you’ve got to be willing to put in the time in the pool, track, and on the bike during the months leading up to the event. Hold at least a two-minute-per-100-yards pace for the 2.4-mile swim. Total swim time is estimated at about 80 minutes. Average between 15 and 16 mph for 112 miles. Total bike time is estimated at between 6:15 – 7:30. Total run time is estimated at between 4:15 – 5:00. These milestones aren’t something that will happen overnight, even for the best athletes. You’re probably going to need to train at least six days per week in order to reach these goals. Do you have the time and motivation to commit to that? There are plenty of risks in participating in an Ironman. In order to avoid unexpected internal issues, we recommend keeping a very close eye on your vitals throughout your training. Knowing how your body responds and reacts to each strenuous training session will give you better insight into how your body will perform on race day. Keep a log of your vitals and make sure to address any issues prior to race day. The last thing you or anyone else wants is to see you collapse during the race, or even scarier, suffer an issue during the 2.4 mile swim. Your body is not built to exert the amount of energy that you’ll need to exert during the Ironman. You’re going to be expending so many calories during the competition that it will be impossible to replace all of them. The human body just isn’t designed to take in more than several hundred calories per hour during intense exercise, while at the same time burning four of five times that amount. You’re never going to be able to finish this competition if you don’t have a good grasp on how your body will react to this calorie expenditure and how you can combat it without completely depleting your energy. Have a plan to replace at least some of your lost calories during the trek and be prepared for the gastrointestinal discomfort that is common from depleted calories. Avoiding injury in training and during the competition is vital. This means taking extra special care of your joints and muscles from the start of training through the end of the competition. Common injuries at the Ironman include shoulder injuries from swimming, plantar fasciitis, and muscle strains particularly in your legs. We recommend training with the QiVantage Therapeutic Recovery Cream. Use it on your tired muscles after workouts to prevent prolonged soreness and promote muscle recovery. Since you’ll likely be training near nonstop, you will want every advantage you can get to perform at your peak whether it’s just for training or the day of the event. Check out the rest of our Recovery Series for extra products that can help you recover faster and keep training! Give yourself an added advantage with our FREE Day-To-Day Muscle Recovery Checklist! It’ll guide you through a daily look at how you should help your muscles recover from your training and stay on track to compete! If you’ve never competed in an Ironman before, you could definitely benefit from a coach. Someone that understands the stress you will be putting your body through and how to get you to a point where your body is ready to endure it is invaluable. We recommend every Ironman utilize a coach in some capacity, but it’s a must for a first timer. Not sure how to choose a coach? 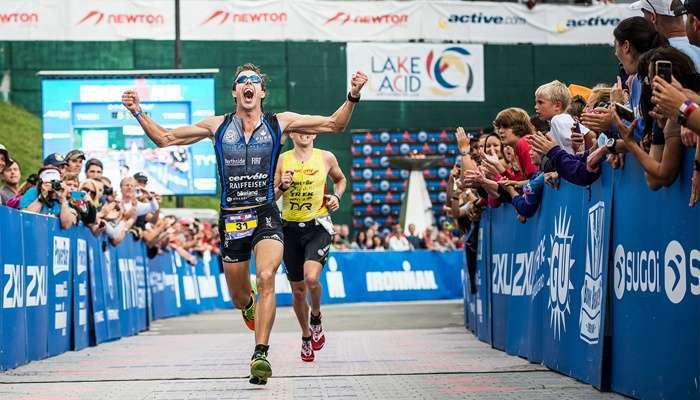 Check out this great article from Ironman on exactly that! Like we mentioned, and we’re sure you know, the Ironman is not for everyone and even some of the world’s best athletes are no match for the Ironman. If you’re going to take it on though, be sure to be prepared. Also, check out QiVantage Ironman Athlete, Brandt Stiggins! He last competed in the Ironman World Championships in Kona, Hawaii!